Ms. Debra Ann (Owens) Burton was born on October 8, 1966 to the late Mrs. Joann (Owens) Hicks and Mr. Fredrick Owens at Russell Hospital, Alexander City, AL. She was a devoted mother, grandmother, sister, sister-in-law and aunt. 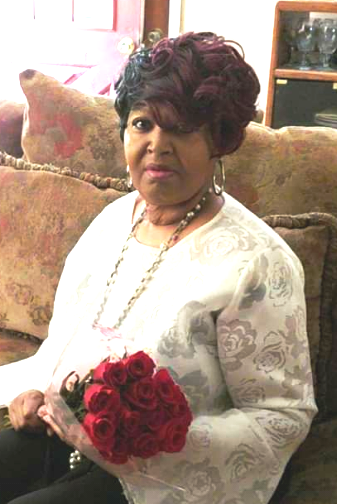 Ms. Burton’s mother, Mrs. Joann (Owens) Hicks; brother; Fredrick Bernard Owens; grandmothers: Mrs. Ozenia Parker Thomas and Mrs. Myra Owens; grandfathers: Mr. Claude Parker, Sr., and Mr. Isiah Owens; and niece, Tre’ Andrea Owens preceded her in death. Mr. Jimmy Hicks. Three devoted children: Son, Brandon Octavius La Earl Owens (Robin). Octavius DeSean Owens and Braxton Omari LaBrandon Owens. Three brothers: Ricky L. Owens (Vanessa), DeCarlos Heard and Freddie Floydd (Angela). One nephew, Untayus Brown. Two great nephews: Jayden Brown and Cameron Brown. A special aunt, Mrs. Charlie Ann Parker. A special uncle, Mr. Jimmy (Veola) Parker. A special cousin, Renee Kelly and a god daughter, Shalyric Brisker. A host of other relatives and friends.